How to inflate and deflate the high volume breathing mask cushion properly. 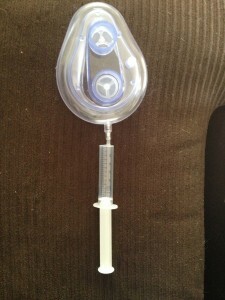 As part of the mask assem­bly kit, a plas­tic syringe is includ­ed. 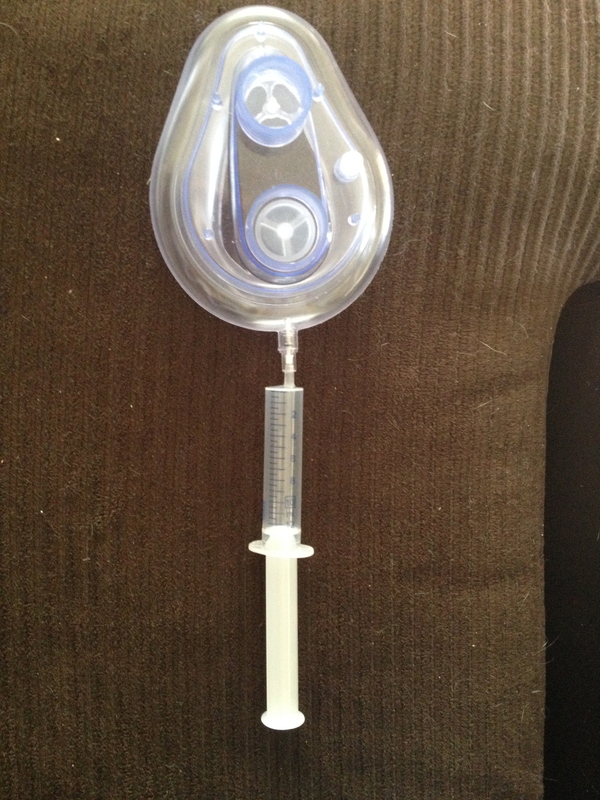 This syringe is used to inflate and deflate the face mask cush­ion­ing for com­fort and prop­er func­tion. Ideally, the face mask cush­ion only needs to be 2/3 full. 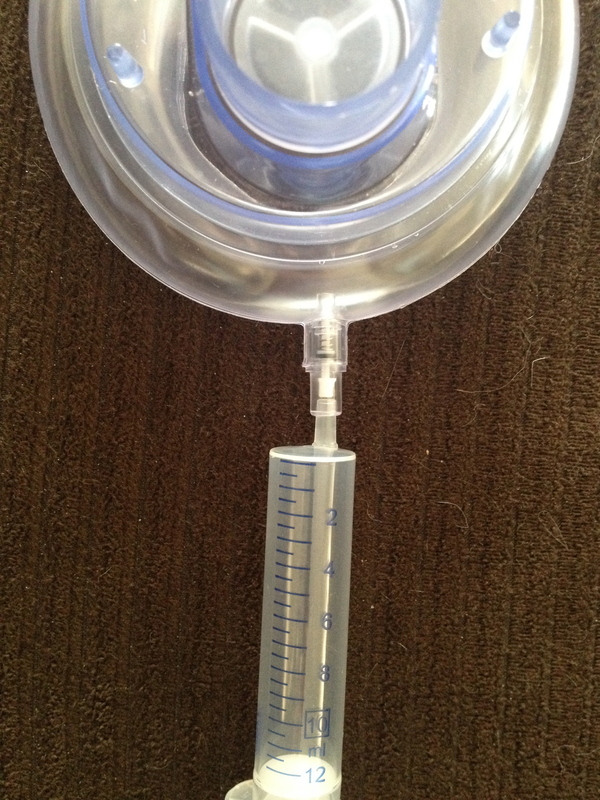 To inflate: First fill the syringe with air from the room (pull the plunger back to fill the cham­ber with air). 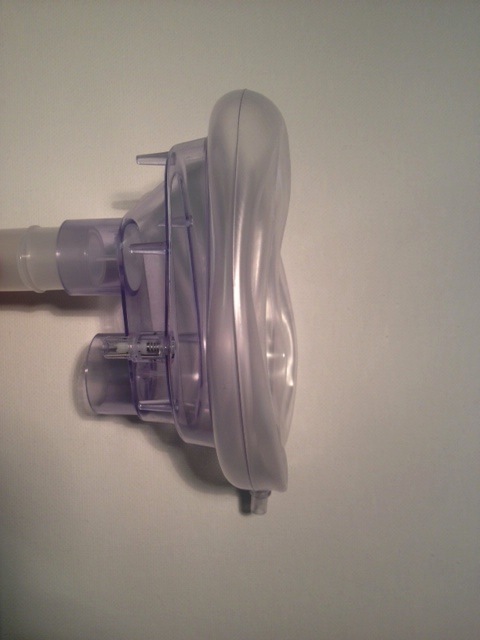 Then insert the tip of the syringe into the air port on the front of the face mask. This air port has a valve con­sist­ing of a plas­tic stop­per and a small spring. While putting gen­tle pres­sure on the air port mech­a­nism, push the air into the face mask cush­ion. One or two rep­e­ti­tions should inflate the mask prop­er­ly. To deflate: Push the syringe plunger all the way down so that the syringe can be used to pull air out. Insert the syringe on the air port mech­a­nism in the same way as stat­ed above, and pull the plunger back to draw air out of the cush­ion. Why is there a hole in the AC reservoir compartment?